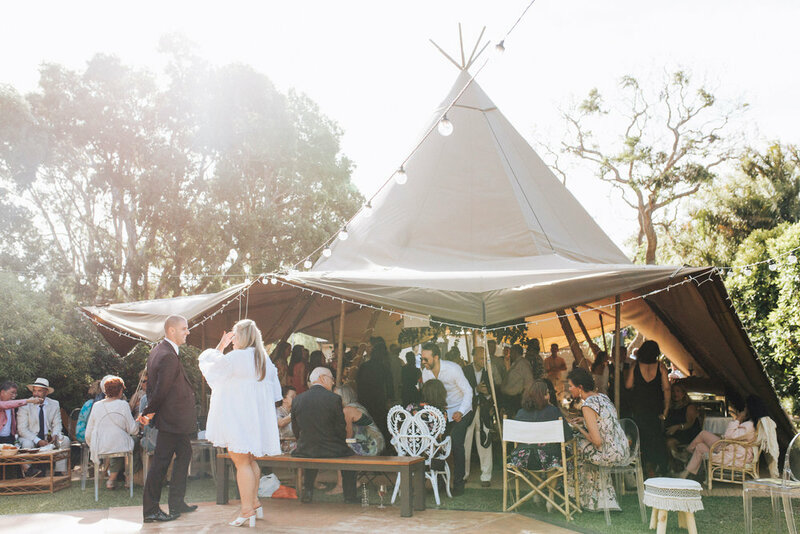 Throwing a party is never easy let alone your wedding; there’s a million and one things to consider and as you will discover soon enough, the decisions don’t stop rolling in until the moment you walk down the aisle. As seasoned wedding planners and stylists, we help make your life easier (a whole lot easier!). At most weddings, there is a significant time gap of a few hours from the time that your wedding ceremony concludes and when the wedding reception begins. This is usually the time that you go for location photos with your wedding photographer. But what do your wedding guests do during this time? Do you leave them to their own devices? Or do you organise something to keep them entertained and in good spirits while you are gone? If you’re the type of person who likes to ensure that everyone is having a good time, we think you are going to appreciate the suggestions we have for you. Here are some fun, interactive and non-cookie-cutter ways you can keep your wedding guests entertained as they wait for reception to formally being. FYI, the following are most effective and suitable for wedding ceremonies and receptions that are held at the same venue. First off, your choice in venue is very important. We always recommend couples to do a site visit of the ceremony and reception venue at the same time of day as their ceremony and reception. We suggest this because lighting and temperature sets the mood for everything. Ideally, you should look for a wedding venue that a separate outdoor covered area for guests to relax in. 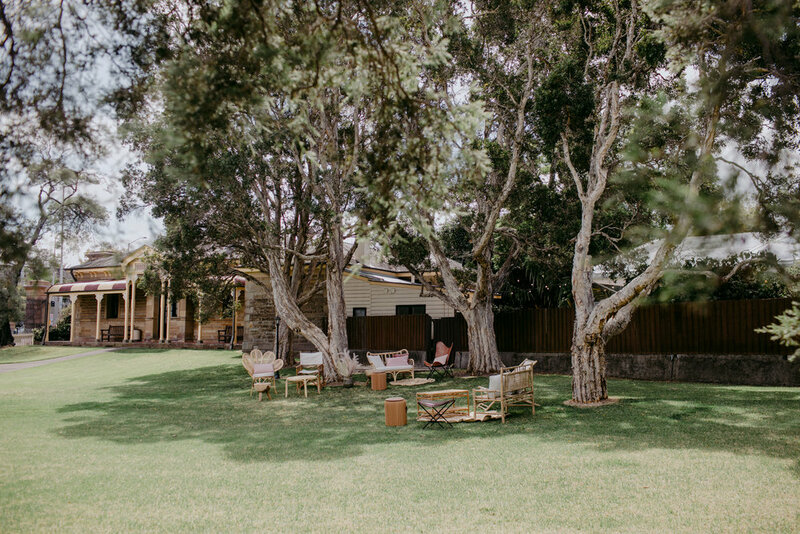 Most venues will not allow guests to enter the reception space until 6pm and therefore, you will need to plan for a place for your wedding guests to hang out while they wait. An external covered area will give them relief from the sun in warmer months as well as cover from the elements. If the venue doesn’t have a shaded area for you to use, hire outdoor umbrellas so that your guests have somewhere to be shaded from the sun. Having live music is always a good idea. This is because having background music makes the ambient mood much more inviting. Silence is very, very awkward don’t you agree? Live music gets people in the mood for a party and you want them looking forward to the main party of the day. Can we tell you a secret? Nothing is more boring and wasteful than wedding favours. Most of the time, the bonbonnieres are thrown away or left behind. How about giving out scratches to your guests? They’re fun and who knows, maybe someone will win something? Most wedding photo booths start in the evening. We’re a big fan of open-plan photo booths. They’re just a much more fun. Instead of a traditional photo booth, we’ve created photo booth spaces for our couples. Photo booth spaces are great for repurposing your signage and backdrop elements. We’ve designed a massive swing and have brought in lounges just for this. The best thing about this idea is that you don’t actually need to hire a photo booth. Your guests will take photos of themselves with their own cameras (just be sure to ask for a copy so that you don’t miss out on the hilarious moments). Extending on the idea of a photo booth is a video booth. The idea behind this is that your guests can leave you a personal message while you are away. These video messages can then be played back during the night or just before reception for some laughs. For the little ones, an arts and craft table is a good way to keep the children occupied. It’ll also have the added benefit of giving their parents some reprieve. And rather than the normal colouring in exercises, why not encourage the little ones to craft you something handmade as their own personal gift to you? Lawn games are a good solution. Giant Jenga tends to be a big hit, especially if you keep the booze flowing. And on the topic of booze, you have to provide food and drink, especially if most of your guests had to skip lunch due to the timing of your wedding ceremony. For the added touch of personalisation and to save money from having it catered by the reception, why not hire one or more food trucks to serve delicious hot food to your starving guests? The last thing you want are hangry family and friends! Ice cream trucks are always a hit with all ages. By the way, you’re definitely going to want to hire out some outdoor lounges for seating and bar tables for your guests to be comfortable. If most of your guests have travelled from afar to attend your wedding, you’re going to love this suggestion. Why don’t you organise a 1-hour minivan or coach tour while you are away? This is ideal if your venue is in vineyard-territory, or close to the city and beaches. And as a final wow-factor that is sure to please your guests, do away with the old and boring table place cards. Instead, you can have each guest’s name handwritten by a calligrapher on ghost chairs. This will look absolutely amazing and give your guests something to remember.